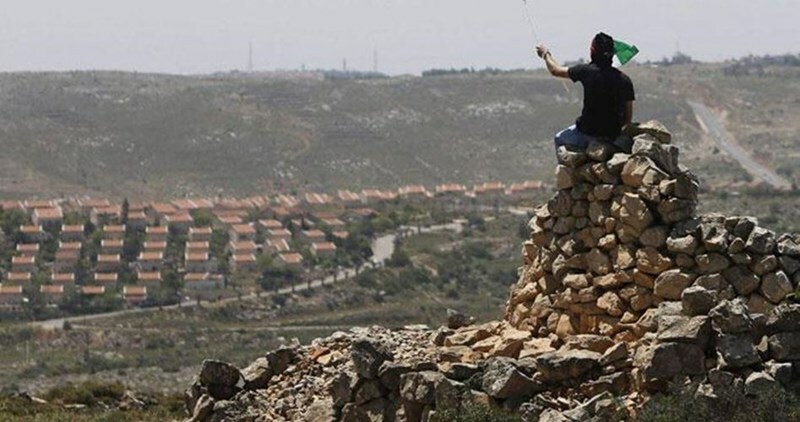 Israeli Prime Minister Benjamin Netanyahu and Army Minister Avigdor Lieberman decided Thursday to impose a series of punitive measures against Bani Naim town, south of al-Khalil, following an anti-occupation attack in Kiryat Arba settlement illegally built near the city. The Palestinian Ministry of Health earlier declared that a Palestinian minor identified as 17-year-old Muhammad Nasser Tarayra, from the village of Bani Naim, was killed by Israeli gunfire for allegedly carrying a stabbing attack in Kiryat Arba illegal settlement. 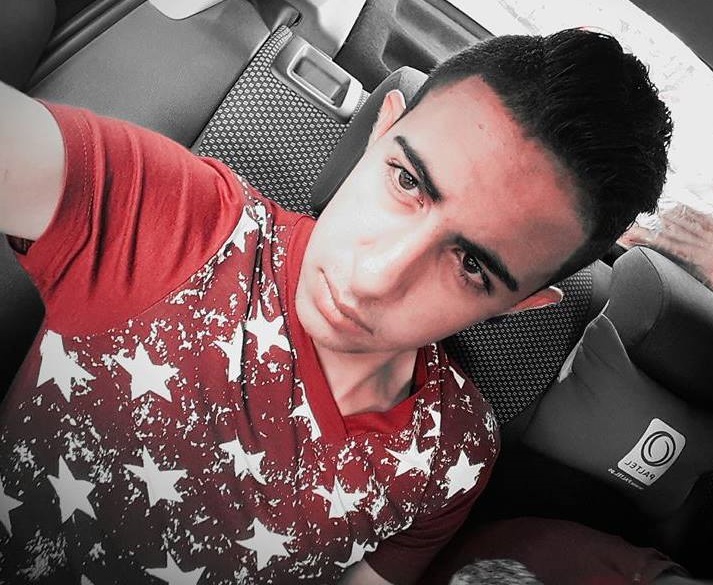 A statement issued by the Israeli Prime Minister's office on Thursday afternoon announced that the decision had been made to "cordon off" Tarayra's hometown Bani Naim. Furthermore, work permits of Tarayra's family members would be revoked. The statement added that procedures to demolish Tarayra's family's home were already under way. Israel’s punitive policies against Palestinian communities in the wake of attacks have been repeatedly condemned by human rights groups, who point out that such punitive measures constitute “collective punishment” and “court-sanctioned revenge” in clear violation of the international law. A number of fanatic Israeli colonists attacked, late on Wednesday evening, Palestinian hothouses, and wrote racist graffiti, in addition to uprooting plants, in Wadi Fukin village, west of the West Bank district of Bethlehem. Ahmad Sukkar, the head of Wadi Fukin Village Council, told the WAFA Palestinian News Agency that the fanatics infiltrated into Palestinian farmlands, in the al-Fawwar area, south of the village, and destroyed two hothouses, in addition to uprooting dozens of plants, owned by Maher Assaf and Jamil Assaf. He also stated that the village has been subject to frequent similar assaults, carried out by extremists of the nearby Beitar Illit colony, illegally built on Palestinian lands owned by residents of Husan, Nahhalin and Wadi Fukin. 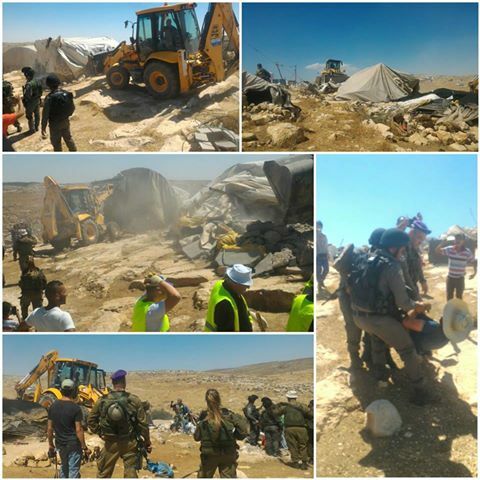 Israeli Occupation forces (IOF) handed out demolition notices to Palestinians residing in al-Ras al-Ahmar area in the northern Jordan Valley. The notices stipulated knocking down a number of civic facilities. Mutaz Bsharat, the official of Jordan Valley file, said that among the structures to be demolished there are homes, tents, stockyards, and housing facilities in addition to a water line extending along 1000 meters. The notices also included a stop-of-construction order against a home belonging to the family of Raed Bsharat. It is located in the same area. Israeli bulldozers demolished homes in the Bedouin village of al-Araqib, in the Negev desert, for the 100 time on Wednesday, in addition to a home in the Negev village of Atir, local activists said. Israeli police reportedly imposed a blockade on al-Araqib before carrying out the demolitions, according to Al Ray Palestinian Media Agency. Activist Saleem Araqeeb said that Israeli bulldozers, accompanied by military jeeps, stormed the village in the morning, forcing the locals to leave their houses and demolish them. He said that local Israeli authorities, who dispute the ruling, have filed a lawsuit demanding the court to order residents of al-Araqib to pay a daily fine of 5,000 shekels (approximately $1280 USD). In May 2013, an Israeli government committee approved a draft bill setting a framework to implement the evacuation of “unrecognized” Bedouin villages in the Negev, most of which existed before the state of Israel came into being. Two Likud Knesset members submitted on Wednesday a bill calling for imposing a seven-year waiting period between the issuing of an administrative demolition order against illegal outposts in the West Bank and its implementation. This step came after Israeli premier Benjamin Netanyahu recently asked Likud lawmakers to come up with legislation postponing the demolition of the Amona outpost, ordered in 2014 by the high court of justice. The Israeli court ruling came in response to a petition filed by the NGO Yesh Din on behalf of 10 Palestinians from the nearby village of Silwad who claim ownership of the land. The outpost, which is located on the outskirts of the Ofra settlement, was first built in 1995 with a NIS 2.16 million grant from the ministry of construction and housing. The Knesset bill, which was submitted by MKs Miki Zohar and David Bitan, does not name Amona specifically. Haaretz newspaper described Amona as a "sputtering time bomb for the coalition." "Netanyahu evacuating settlers by force would hurt him and Likud badly ahead of the next elections," a Likud MK told Haaretz Wednesday. "Netanyahu does not want to evict the settlers, and more than that, he does not want to trample on his natural constituency," the Likud source added. According to the source, evacuating Amona could be the move that spurs Habayit Hayehudi leader Naftali Bennett to stalk out of the government coalition, taking quite a few Likud voters with him, and Netanyahu would not want that either. Sources in Habayit Hayehudi already warned earlier this month that the demolition of Amona could be grounds for abandoning the coalition, according to Haaretz. 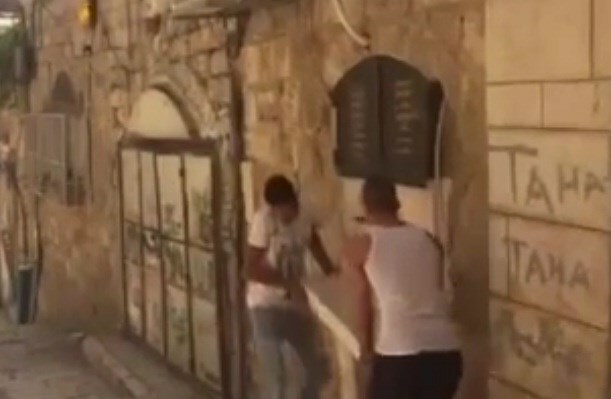 The Israeli occupation police on Wednesday forced the family of martyr Abu Ihab Hashima to remove a sebil (public water fountain) from the wall of their house on a street in the Old City of Occupied Jerusalem. The family of Hashima had to remove the sebil after the police threatened to forcibly demolish it and make it pay a heavy fine. According to the family, the fountain was intended to provide water for the Muslim worshipers who go to the Aqsa Mosque through Aqabat al-Khalidiya street in the Old City. The police took this measure after a horde of Jewish settlers living in an outpost on the street filed a complaint about it. The removed fountain was located about four meters away from a memorial the settlers had built on the same street after one of them had been killed in al-Khalidiya neighborhood in 1988. “We went to Umm al-Khair, which is right up next to [the settlement of] Carmel. We went there for a demolition. We demolished a shed or two in there. You get an order about what to demolish, you coordinate it with the brigade, and you do it. Every demolition we do, you bring people to move stuff and you carry the contents out, put them at a distance from the demolition site, take footage inside and around the empty structure that we’re going to destroy. We walk through the structure to see that there’s nothing valuable left inside of it, or anyone inside it, and only after that we demolish it. Any claims that goats were killed, that things like that were destroyed – are total fabrications; I tell you this with certainty. I don’t agree with the demolition activities, and I think that in most cases they are wrong – simply not humane. Would I say that I’m at peace with what I did while I was in the army? No. But, would I say that we adhered to working according to the protocols, down to the smallest detail? Yes, we did. We adhered to them and we knew them, and there had already been cases that the civil administration was sued because it demolished and wrecked things by accident. No structure was demolished with its contents still inside, ever. We never demolished a single house without clearing out its contents first. And, you know that the new neighborhood was indeed approved, and it had a plan and they were working according to the plan and everything. But, that man, who lives five meters from their fence and is illegal according to the administration’s definitions, that’s a problem. It’s an unpleasant situation: To force old people, children, women out of their homes. To do it day after day. It’s a difficult situation, a bad situation. You evacuate people the age of your grandma out of some tin shed where they live, onto a pile of rocks, and it breaks your heart. 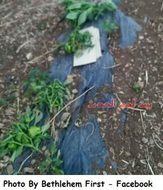 Israeli Occupation Authority (IOA) on Tuesday handed three orders to Samih Salah to stop the construction of agricultural structures and to raze his home for lacking construction permits. 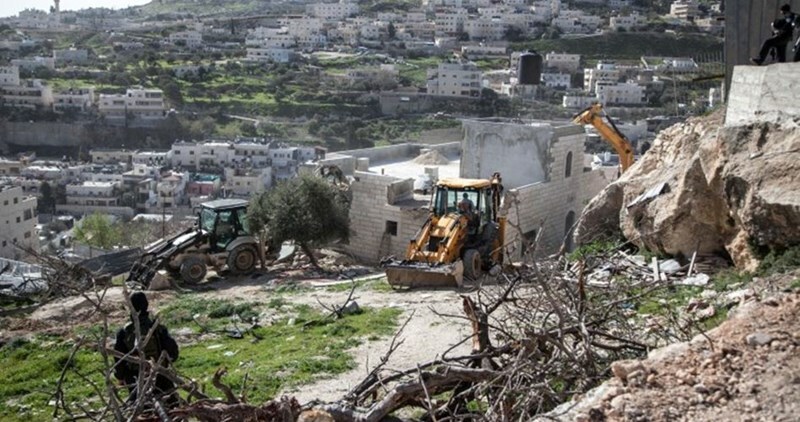 The facilities to be demolished include a home with an area of 160 square meters, a room, and a caravan used for agricultural purposes in Alia hamlet in al-Khader town to the west of Bethlehem. 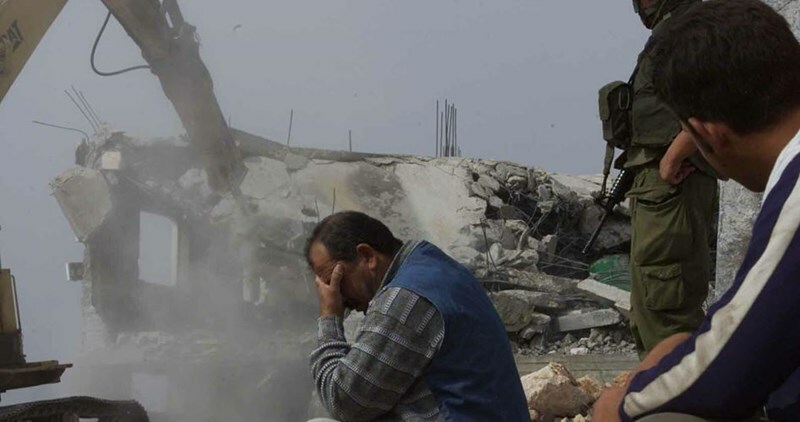 Ahmad Salah, coordinator of the anti-settlement national committee in al-Khader town, told Quds Press that the IOA has been waging a large-scale demolition campaign in the town since the beginning of the year. Israeli forces last year knocked down 23 Palestinian houses and structures and handed out 36 demolition orders in Bethlehem under the pretext of lacking construction permits, according to the Land Research Center’s report. 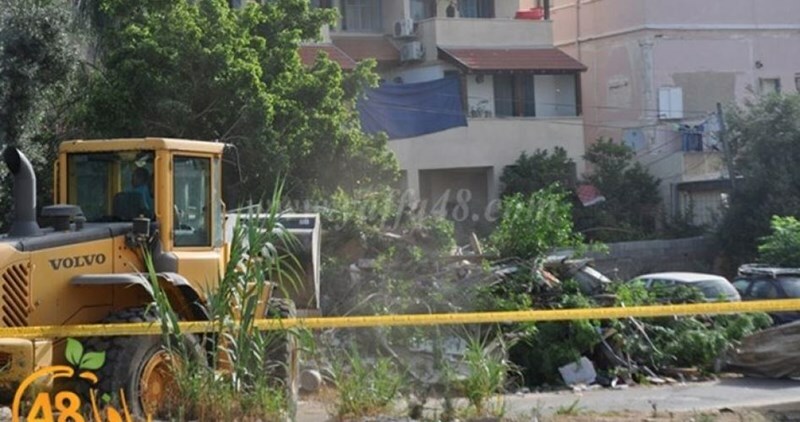 Dozens of Israeli soldiers invaded, on Tuesday at dawn, Hijja village, east of the northern West Bank city of Qalqilia, and demolished the inner walls of a home of a Palestinian who was killed in March after carrying out a fatal stabbing attack in Jaffa. 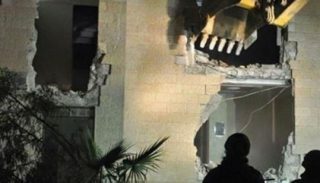 Media sources in Qalqilia said the soldiers, accompanied by armored bulldozers, invaded the village, and surrounded the home of Bashar Masalha, 22, before forcing the family out, and demolished the inner walls of their property. The army did not demolish the entire property because it is a three-story building, owned by several families, and instead demolish the inner walls of Masalha’s family home, rendering the family homeless. It is worth mentioning that Masalha was shot and killed on March, 8, 2016, and the army held his body until May 20th. A U.S. army veteran of Iraq and Afghanistan wars, identified as Taylor Force, 28, was killed in the attack, and several Israelis were injured, Israeli sources said.